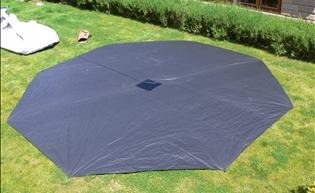 We have upgraded all our groundsheets to heavy duty PVC to replace the rip-stop nylon material that we used in the past. Comes in three pieces with velcro attachments. These are far superior and are made for us here in Ireland.